The EU has once again found itself between a rock and a hard place: while protesting against a new arms race in Europe which could be prompted by the US' pull-out of the Intermediate-Range Nuclear Forces (INF) Treaty, it seems the bloc cannot but follow Washington's strategic course even when it contradicts its interests and security. While Germany Foreign Minister Heiko Maas warned against turning Europe into "a platform for an arms race debate" and opposed the deployment of new medium-range missiles on the continent, the EU is seemingly continuing to dance to Washington's tune when it comes to the 1987 Intermediate-Range Nuclear Forces (INF) Treaty. "The deployment of new medium-range missiles would encounter broad opposition in Germany," the German foreign minister told DPA news agency on 26 December. 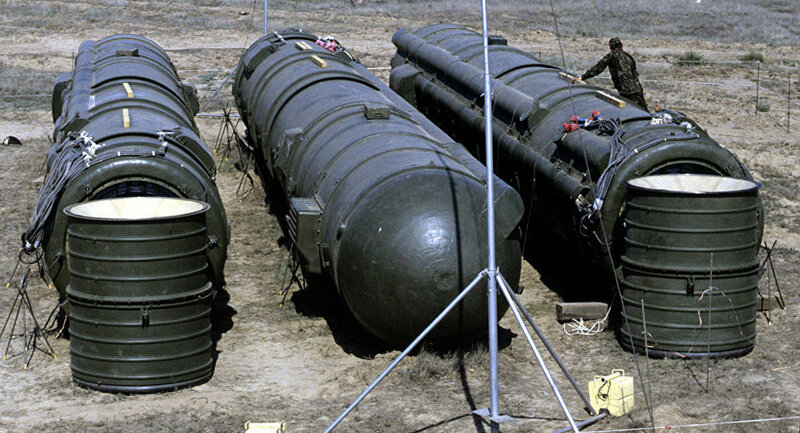 In October 2018, US President Donald Trump announced his decision to withdraw from the INF Treaty inked by the US and the USSR 31 years ago under the pretext of Russia's alleged violation of the agreement. 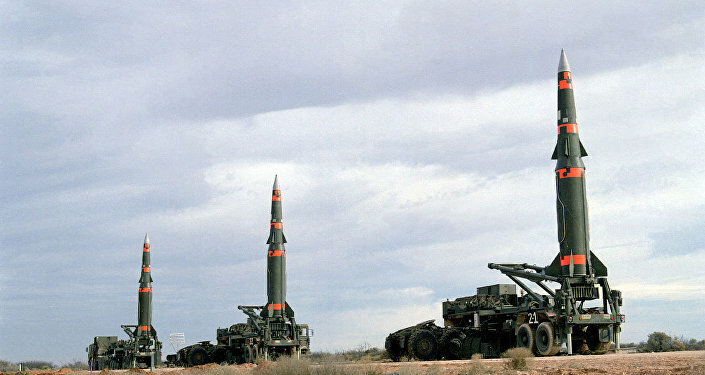 The pact stipulates the elimination of nuclear and conventional missiles and their launchers with ranges of 500-1,000 km (310-620 mi) and 1,000-5,500 km (620-3,420 mi). Specifically, the Russian-made 9M729 (NATO codename SS-CX-8) missile system, which, according to the Trump administration, does not comply with the pact, has largely been the bone of contention between Moscow and Washington. Presenting no evidence to back its claims, the US administration gave Russia 60 days for either terminating or modifying the weapon. "In light of these facts, today, America will announce it finds Russia in violation of the treaty and we will remove ourselves from the treaty in 60 days unless Russia returns to compliance," US Secretary of State Mike Pompeo announced on 4 December. — US Mission to NATO (@USNATO) 4 декабря 2018 г. ​Referring to Pompeo's claim, Russian Foreign Minister Sergei Lavrov elaborated that the US' concerns about the 9M729 missile were groundless as the aforementioned weapon was tested by the Russian military at a range permitted under the INF Treaty. "They eventually cited a specific missile — the 9M729, as you know — and started to say that it was tested… for a range prohibited by the treaty. Our information on these tests proves the opposite. It was tested for a range permitted by the treaty and in circumstances that the treaty envisages," Lavrov underscored during a press briefing in early December. Trump's decision prompted a great deal of concern among his European allies. "The announcement by the United States that it intends to withdraw from the INF Treaty is regrettable. It poses difficult questions for us and for Europe," Maas stated on 21 October, adding that the treaty "has been an important pillar of [the] European security architecture." In early November, the politician insisted in a guest column for the magazine Der Spiegel that "an end to the INF Treaty would bring down one of the greatest achievements of disarmament policy", urging the US, Europe, and Russia to rethink current arms agreements. French President Emmanuel Macron raised the INF issue in his 21 October phone call with Trump. "We call on all the parties to avoid any hasty unilateral decisions, which would be regrettable", the French Foreign Ministry stressed, commenting on the issue. According to Czech President Milos Zeman, if the pact is abolished, it may seriously affect the existing balance of power: "I want all agreements to exist, because without these agreements there will be an arms race," he told the Vesti Nedeli show on Russia's NTV broadcaster in early December. For her part, High Representative of the European Union for Foreign Affairs and Security Policy Federica Mogherini stressed later that the shortcomings of the INF Treaty were not a reason "to move backwards and dismantle" it. However, EU member states, including Germany, unanimously rejected the Russia-drafted resolution "Preservation of and compliance with the Intermediate-Range Nuclear Forces Treaty" at the UN General Assembly on 21 December. — Karel van Oosterom (@KvanOosterom) 21 декабря 2018 г. ​The draft resolution called on the US and Russia to continue bilateral consultations on adherence to their INF Treaty obligations. It urged the parties concerned to renew constructive dialogue on strategic issues to ensure international stability. — Poland in the UN (@PLinUN) 21 декабря 2018 г. ​Speaking on behalf of 29 countries opposing Moscow's draft, a Polish representative referred to the much-discussed 9M729 missile system. "On 4 December 2018 NATO allies affirmed that Russia has developed and fielded a missile system, the SSC-8, also known as the 9M729, which violates the INF Treaty and poses significant risks to Euro-Atlantic security… We strongly support the finding of the United States that Russia is in material breach of its obligations under the INF Treaty". Commenting on the statement, Russian Permanent Representative to the UN Vasily Nebenzya told the Rossiya 1 TV channel that Washington "was very worried about the outcome of the vote". According to Nebenzya, the US had sent out a letter to UN member states urging them to abandon Russia's draft. "We are returning to very dangerous times, when the Americans could really deploy their missiles here in Europe in order to protect themselves, not to wage war on their own territory, but to shift the focus of the war onto the European springboard. Many European countries, apparently, are ready to agree with this," German political scientist Alexander Rahr told Sputnik. He underscored that, in contrast to other EU countries, Germany had begun to realise that Washington regards its European allies as "vassals". "For the German mentality, this is becoming increasingly humiliating," the political scientist said. Meanwhile, it appears that nothing can stop the Trump administration from fulfilling its threat. As Russian Deputy Foreign Minister Sergey Ryabkov pointed out on 18 December, "through bilateral channels, [Moscow] received a confirmation at a high political level that this decision [to rip the INF Treaty up] was final and was not an invitation to dialogue". After withdrawing from the treaty, the US will be capable of stepping up the production of new medium-range missiles which means that Heiko Maas' fears may come true. The views of the contributor do not necessarily reflect those of Sputnik.